This is the ultimate guide to blending 50 delectable whisky cocktails, including traditional drinks such as the Perfect Manhattan, Jack Frost and Mint Julep, as well as more unusual blends such as the Buckaroo, Coffee Eggnog and Jamaica Shake. It includes a history of whisky, its varieties and brands, from world-famous names such as Glenlivet and Jack Daniel's to less well-known types such as Suntory from Japan. It features clear instructions, photographs of the finished drinks, and useful hints and tips throughout. It includes handy advice about essential cocktail-making equipment and how to choose the right glasses, with a section on "tricks of the trade", giving expert suggestions for preparing and presenting drinks using professional-looking garnishes. Whisky - meaning "water of life" - was first produced in the 15th century. Originally from Scotland and Ireland, it is now produced in many countries, including the United States, Canada and Japan. Relating the story of whisky and the differences between the main varieties, such as Scotch, bourbon and Tennessee whiskey, this book gives you the knowhow needed to make whisky cocktails. Covering essential equipment, including the cocktail shaker and 7 varieties of glasses, you'll become an expert in no time. You can learn about muddling, frosting glasses and making syrups to create special mixes. The book will help you to master the classic recipes and discover more unusual cocktails. The range of drinks uses a wide array of ingredients, so you'll always have something new and interesting to try. 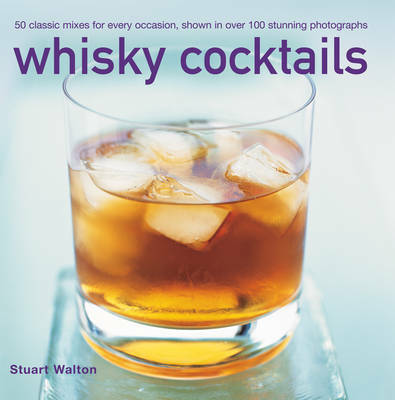 With easy-to-understand instructions, over 100 mouthwatering photographs and useful hints and tips throughout, this handbook is accessible to even the most inexperienced home bartender, while also providing something extra for the whisky connoisseur.